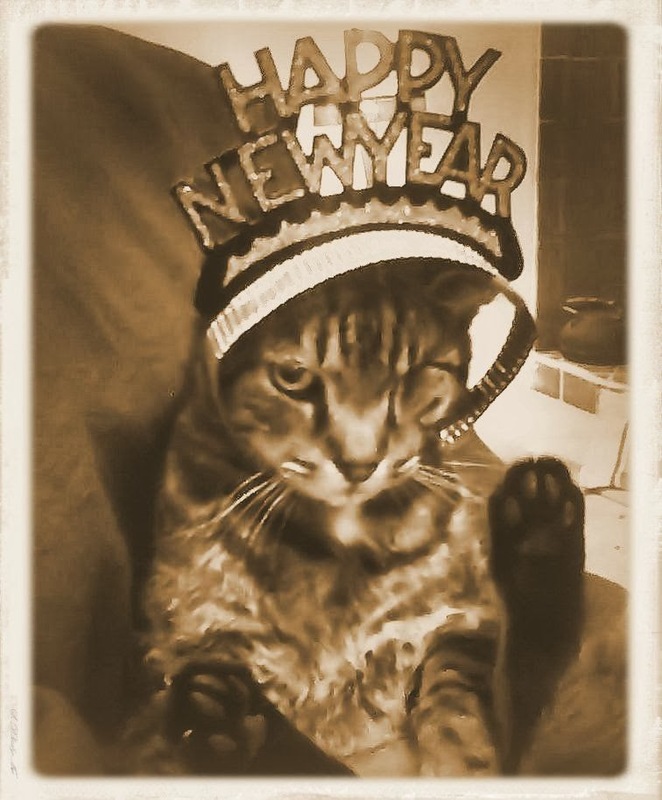 Femme Fatale Records: HAPPY NEW YEAR FROM FEMME FATALE RECORDS AND THE ONE EYED CATS! Cute photo lol! Happy 2014 everyone!!! Happy New Year to Rocky and everyone at Femme Fatale Records!! Happy new year's crazy legs Rocky..! Happy New Year's! Looking forward to all the wonderful things Femme Fatale Records will be doing in 2014. P.S. The One Eyed Cat picture looks great! Very Cute!